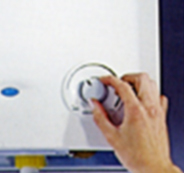 We are a specialist plumbing and heating company located in North West Leicestershire. We offer quality services from full central heating systems, servicing and maintenance, bathroom design and fitting, through to total refurbishments and bespoke systems. Not only do our engineers have over 34 years of experience, we endeavour to continually update our skills to be in line with current and future industry standards. You can be confident that we will provide you with a 100% professional, highly skilled and managed project from concept to final completion.